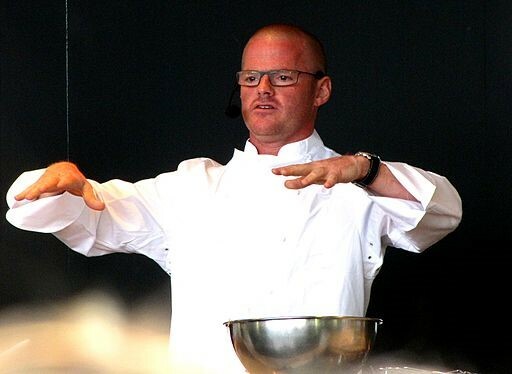 By teaming up with Heston Blumenthal a Michelin star chef, Microsoft developed a chatbot called Heston Bot. Available only on Skype, the chatbot gives you tips recipe, tips, experiments, and stories about food. How will the chatbot fare against our expectations? Let’s find out! Heston Bot is a food and drink chatbot, found only on Skype at the moment. When you open the chat with Heston Bot, the chatbot will introduce itself. Before the chatbot starts giving recipes and tips, it will ask you to answer this question “Whats the one thing that stops people from experimenting in the kitchen?” If you haven’t guessed it already, the answer to this question is fear. The chatbot will tell you why people are scared of experimenting in the kitchen. According to Microsoft, Heston Bot is meant to help people overcome their fear and think about food in a whole different way. The chatbot will inform you that it will send you stories, tips, experiments on a daily basis. If you want to change how frequently you get these updates, you can change the settings by typing notifications or updates. After all the formalities, the chatbot will show you different months. Each month has a different theme, recipes, tips, and experiments. For example, for the month of July, you can explore what the chatbot has to offer. You can also check out the recipes for the month of July. As the theme for July is barbeque, the chatbot will give articles related to its theme. For example, the chatbot will tell you why flipping the meat will enhance its taste and texture or alternative ways to barbeque your food or fact and fiction or the beauty of the colour brown in barbeques. If you select fact and fiction, the chatbot will tell you about some myths related to barbeques such as sealing meat, the perils of MSG and thinking pink. The chatbot will give you information based on what you select. Also, the chatbot will try to redirect you to its stories regarding barbeque. If you choose alternative ways to barbeque, the chatbot will give Heston Blumenthal’s tips on how to barbeque food. Fresh flavours, the outdoor oven, and something sweet is what you can choose from, after selecting fresh flavours. The chatbot will also show you Heston’s recipes.For example, Heston Blumenthal has a recipe for barbequed pineapple, which is a different way to give a smokey, deep and beautiful flavour to your barbeque. While the chatbot is interactive, it doesn’t have natural language processing which means the chatbot can understand only keywords. However, if the chatbot doesn’t know what you are talking about, it will send a humorous reply, informing you that it doesn’t have the capability. If you interrupt the flow of conversation, the chatbot will suggest topics so that the conversation can continue. Overall, Heston Bot is a really good food and drinks chatbot. The chatbot has a lot of information regarding cooking, which is extremely helpful. The tips and recipes provided by the chatbot are by the Michelin star chef, Heston Blumenthal himself. Most of the tips the chatbot provides can be used to take your cooking to the next level. Although the chatbot has a lot of features, it doesn’t have natural language processing. As a result of this, the chatbot won’t be able to understand everything we are trying to say. Despite this setback, the chatbot is still interactive. If you love cooking food or you want to experiment, then you should definitely give Heston Bot a shot on Skype!